We are really pleased with the windows (14) which were installed at the end of Oct. We have noticed how draft proof they are compared with the previous doubled glazed units. Steven was very helpful and offered the best quote among 3 we were given. 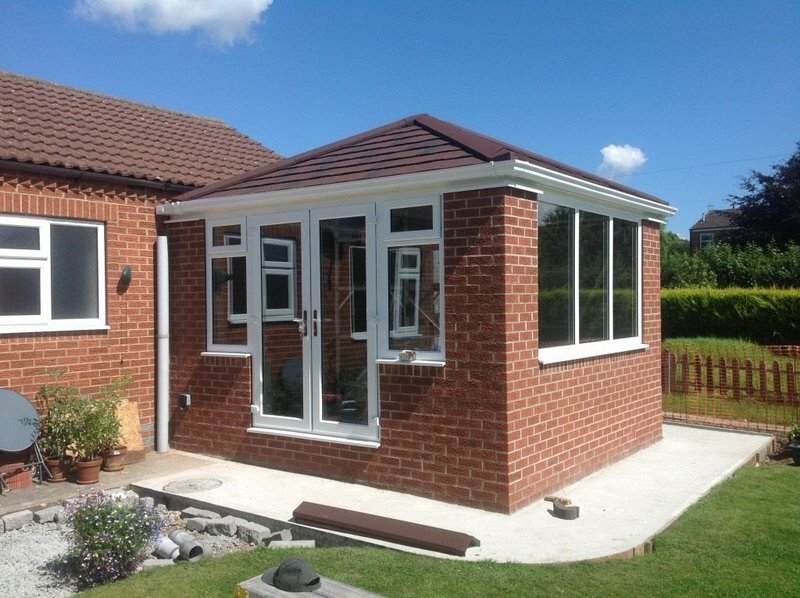 The fitter was a very pleasant and friendly chap who worked quickly & efficiently in fitting the windows, without any mess or fuss. Well Done ! Steve and his team have been fantastic both times we have used them. Quality workmanship, genuine, kept in touch throughout the process and the job was done in the promised time-frame. They obviously take pride in their work and kept the area tidy, it wasn't for the new windows I wouldn't have know they were here today. Great job, thank you! Steve was very prompt in providing a quote and the work was started and completed as agreed. Most of our windows were replaced (including 3 bows), quality of work and windows was excellent. A lot of care was taken to ensure areas of work were kept clean and tidied when finished. Would highly recommend, great job. We are very pleased in our recent dealings with S&K who have replaced the majority of the windows in our house. Steve, the owner, does the selling but he is not at all pushy and spends time going through the options with appearance, openings etc. The installation was carried out carefully and the finished windows look great. Finally, the prices charged were very fair and reasonable. Installed all door and windows on our home including French doors. Excellent service and professional. Open and honest about their products and what would work best for us. Provided good guidance in planning the installation. After service excellent. No hesitation in recommending and I am a very demanding customer. All windows,conservatory,porch and doors have been replaced by this company. Many thanks for the 5 star review. We're very happy that we lived up your expectation. Steve was very professional when he came to look at the windows that we wanted replacing, a quote was given and the work was done at the time agreed. The quality of the work was excellent and completed on time, all efforts were made to minimise any disruption to the rooms that were worked in, the working area was always uncluttered, an excellent job.